I was excited yesterday when my manager decided to move the Keurig coffee machine from the admin office, where it was notably neglected, to the ESL teacher lounge, where I have now put it to use for a couple cups of coffee today (this number may increase soon!). But it turns out I’m a bit behind the times. What people are getting excited about may eventually make coffee pod and capsule machines (and perhaps even baristas?!) obsolete: moving the bean-to-cup experience from specialty coffee cafes to home kitchens. Indeed, one of the biggest trends across beverages is the shift towards drinks that are natural, traceable and sustainable. Consumers understand it's more than just about the brand—it's the ingredients, process, and environmental impact. Pods and capsules, while wildly convenient, tend to hang around in the landfill a bit. We live in a specialty coffee world, which means we value being able to access beans from any roaster in a brand-new, innovative machine. So the trend of experiencing bean-to-cup in the comfort of one’s own home will definitely bring excitement to consumers. At a time when beverage consumers see massive innovation across all segments, the look and performance of most single-serve machines haven’t changed significantly in 10 to 20 years. Now, consumers are looking for more innovation than Keurig and Nespresso have shown. 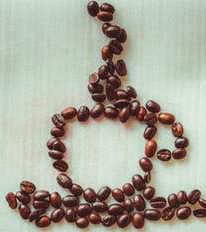 According to Coffee Talk Magazine, bean-to-cup machines will be able to take 25 percent of the single-serve at home market over the next 10 years, and in doing so will become one of the biggest growth platforms in coffee. Indeed, these ultra-convenient devices can produce high-quality coffee from freshly ground beans in short order, with no barista-level skill set required. When you use a bean-to-cup machine, you're drinking coffee made from beans that were ground just seconds before your first sip. This means that the bulk of the rich flavor and aroma—which fades away the longer coffee grounds sit on store shelves—is retained during the extraction process. In addition, there's a lot less cleanup when you use bean-to-cup machines—no filter paper, plastic pods or loose coffee grounds scattered all over your worktop. Just grab your mug, slap one of Koffee Kompanions’ Kup Kap™ cup covers on top to keep it hotter, longer, and go! The main obstacle to acquiring one of these magical machines now, however, is the cost. 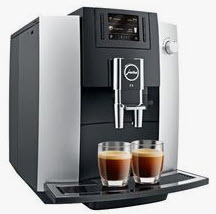 In perusing the Bean-to-Cup Coffee Machine Reviews website, I found that a “budget” machine on Amazon.com is around $325, mid-range is $610, and a premium machine (such as the Jura E6) comes in at whopping $1300. I’d be more likely to spend that on a plane ticket to Japan, am I right?! We’ll just have to keep an eye on the craze and hope, just as when the first laptops were all the rage and cost thousands of dollars, bean-to-cup machines will become less expensive. Do you have experience with one of these? Please let us know in the comments!